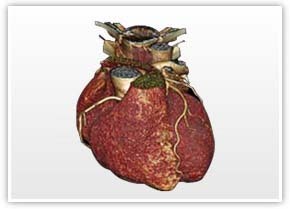 Health 360 has acquired the world's fastest 64 Slice Cardiac CT Scanner for advanced CT applications. Now, get a comprehensive evaluation of the health of your heart in just a few minutes! Simply walk in for a Coronary CT Angiography on our Cardiac CT Scanner to identify any blockage in the arteries that supply blood to your heart. The test is safe and is not an invasive procedure unlike conventional catheter angiography. A normal report rules out possibility of a coronary artery blockage in the near future. A preliminary screening of the arteries can also be done just by evaluating the Calcium Score. A low Calcium Score is synonymous with low clinically significant soft plaques in the coronary arteries. The Calcium Scoring test can be completed in a matter of seconds. To know the condition of your heart call 4342 9999 today and register for a Coronary CT Angio or Calcium Scoring test for yourself and your loved ones. Remember, often in heart attack cases, the only symptom of the disease is the attack itself.